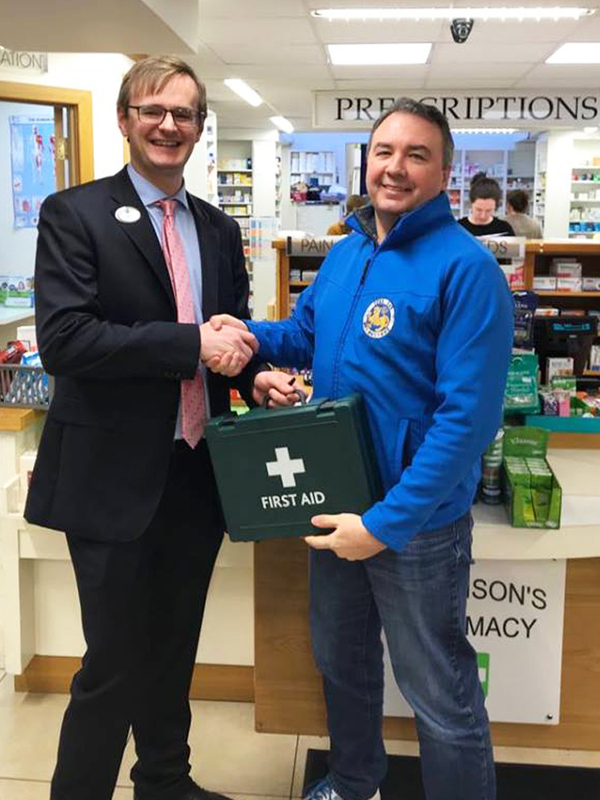 Niall Morrison of Morrison's pharmacy sponsoring Tora-Kan karate club with a new medical kit. They are very happy to be associated with this long established family run pharmacy in Cahir. Niall is a great supporter of local endeavours and they will get great use from this kit with 8 members travelling to Czech Republic in April.